You can assign a password which will be required to connect to this wifi hotspot. If you want to share internet connection through wireless(WiFi) then this is the software for you. Its easy to work with and small in size. It works on Windows 7 and 8 for both 32 bit and 64 bit version. 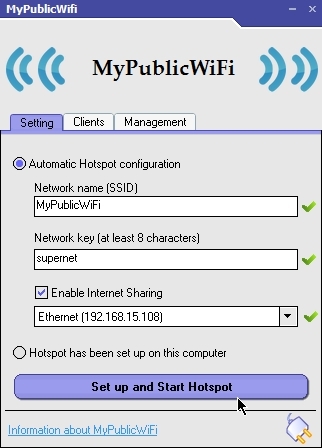 MyPublicWiFi is an easy-to-use software that turns your laptop/PC into a Wi-Fi wireless access point. Anyone nearby can surf the Internet through your sharing. The MyPblicWiFi-Firewall can be used to restrict user access to specific servers. You can also prevent the use of certain Internet services (e.g. file sharing programs). 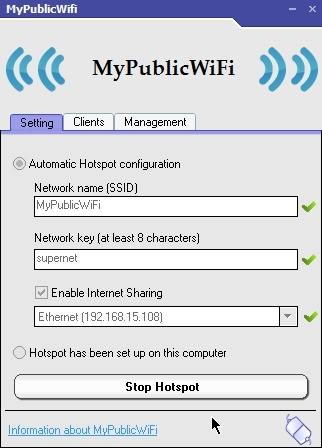 MyPublicWiFi allows you to record and track all visited url pages on your virtual WIFI-Hotspot. 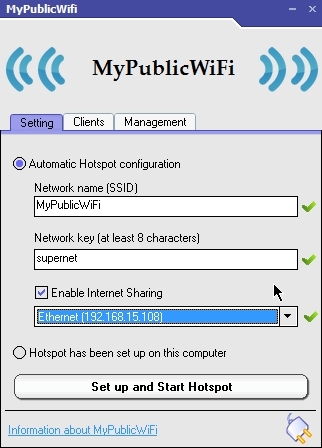 Internet connection from Ethernet,Wi-Fi,DSL,3G/HSDPA/4G can be shared using your computers WiFi by creating a wifi hotspot. 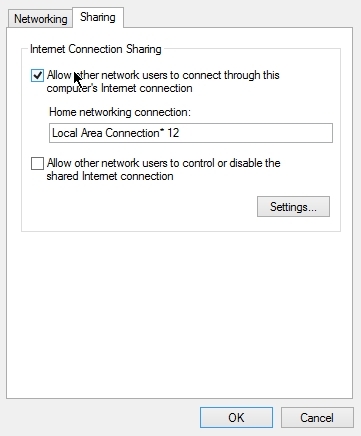 Internet connection sharing will require Microsoft windows firewall to be turned ON. Navigate to Control Panel\All Control Panel Items\Administrative Tools\services. Here you can check if windows firewall is turned on or not. I have internet connection through the Ethernet and I want to share it in WiFi. Right click on the WiFi adapter and select properties. 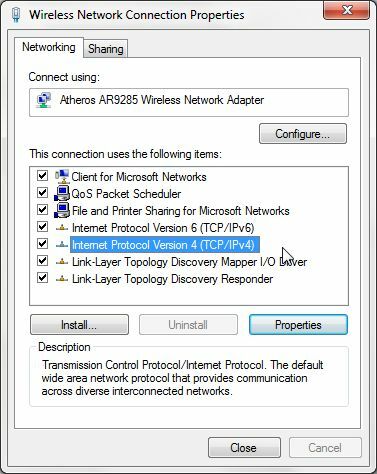 Select Internet protocol version 4(TCP/IPv4) and click on properties. 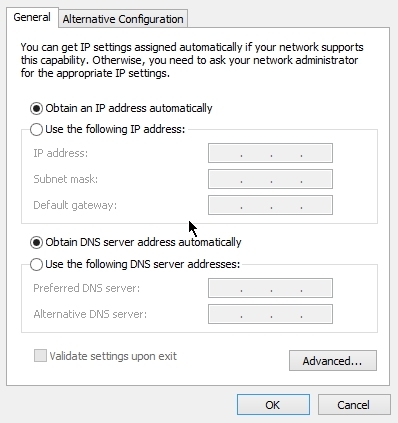 Check if “Obtain an IP address automatically” and “Obtain DNS server address automatically” is selected. If not then select it. Run it in Administrator mode. Go to C:\Program Files (x86)\MyPublicWiFi\MyPublicWiFi.exe. Right click and select properties. 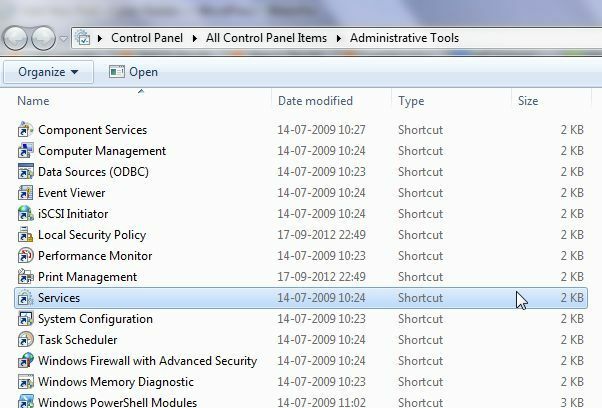 Go to compatibility tab and tick “Run this program as administrator“. Input network name which is the name given to wifi network. Input network key which will act as a password to access the wifi network. 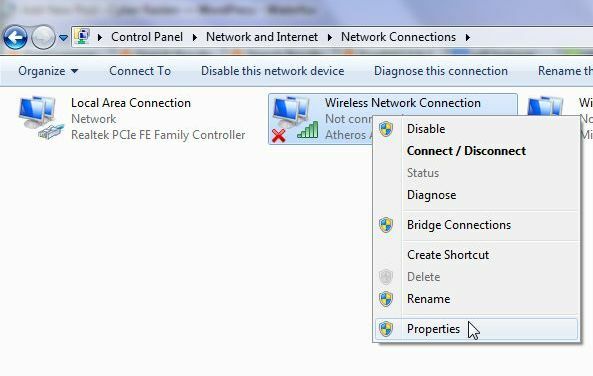 Select network adapter which has internet connection. In my case i have internet connection in Ethernet adapter. 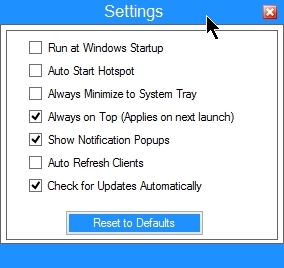 Click “setup and start hotspot“. Wifi hotspot has been started. You can see below that “Local area connection 12” is the new wifi hotspot connection. Right click on Ethernet adapter and select properties. 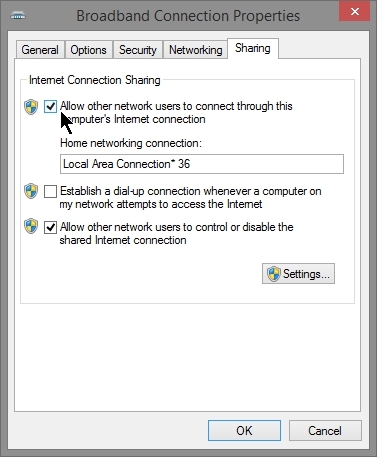 In “sharing” tab tick “allow other network users to connect through this computer’s internet connection“. Select the newly created virtual network adapter in “home networking connection“. In my case “local area connection 12“. Thats all. Now other people can connect to your Wifi network and get Internet access. 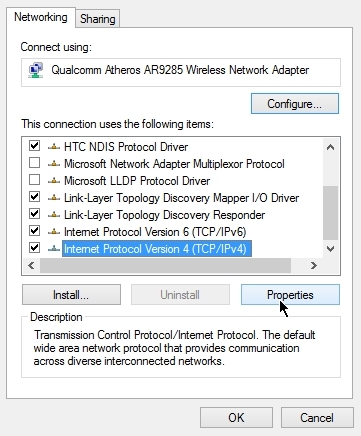 Make sure the computer from which others will connect to your wifi network has wireless adapter TCP/IPv4 settings set to automatic as shown below. If others are accessing internet through mobile then also mobile wifi adapters TCP/IP setting must be automatic. 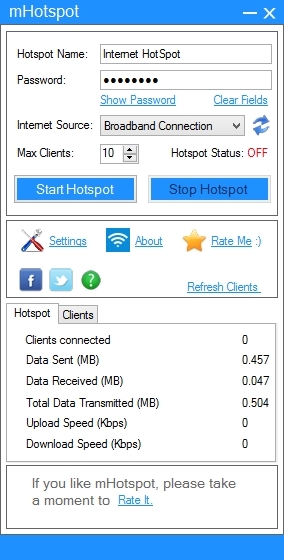 Mhotspot is a free-software(with-out installation)that converts your wifi enabled LAPTOP/PC running windows OS into a virtual wifi hotspot and share your internet through wifi to other laptops, smartphones,PDA’s,Tablet-PCs or any other wifi devices. 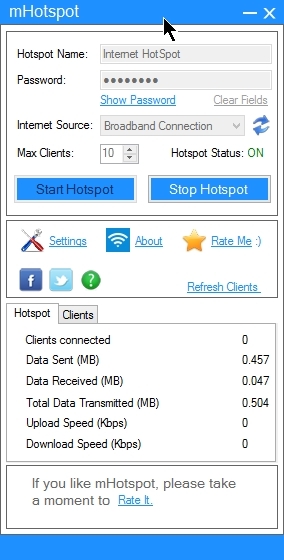 Features: The best part in mhotspot is,it’s free and easy to use,need not to install the software. Any no. of devices can be connected to the created virtual hotspot. It’s simplest user interface differentiates it from the rest. Even the ANDROID and SMART PHONES without any further modifications into them, can access the wifi internet. Even simpler mobile phones with wifi connectivity can access wifi internet because of the “ACCESS POINT-SCHEMA” used in the software. Through wifi you can share internet upto range of 50 meter. Get a high speed internet connection in one computer and share that internet with your friends, family, neighbours. You alone may not be able to pay for high speed internet connection but if a group of people gets united and buy a high speed connection then share it among themselves using wifi then it saves money and each one of them gets high bandwidth internet connection. Make sure wifi adaptor is enabled. Make sure windows firewall service is started. 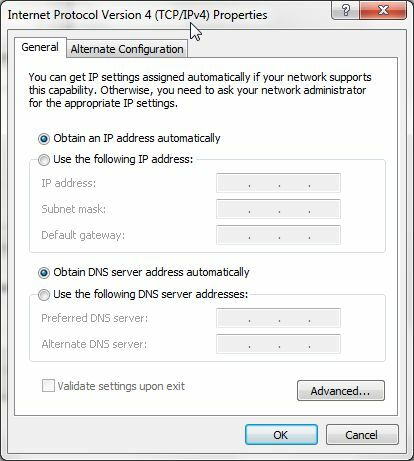 Make sure that in IP4 setting for the Wifi adaptor “Obtain IP address automatically” and “obtain DNS server automatically ” is selected. Give a Hotspot name which other users will see as wifi hotspot . 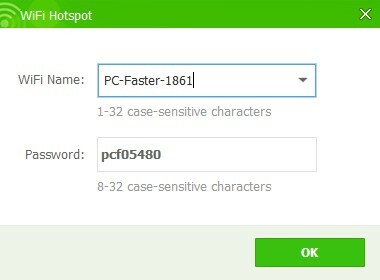 Enter password which will be required to connect to your hotspot. 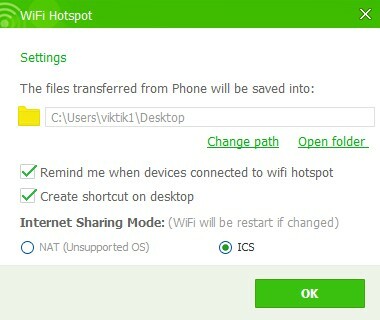 Click “Start Hotspot” to start sharing internet connection through wifi. Now other users can connect to Wireless access point named “Internet Hotspot” and get access to internet. 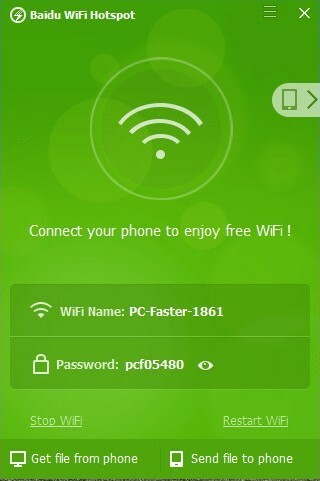 In my case my computer connected to internet using “Broadband connection” and created a WiFi hot spot named “Internet hotspot” using interface name “local Area connection* 36 ” . You can see below that “Local area connection 36” is the new wifi hotspot connection. 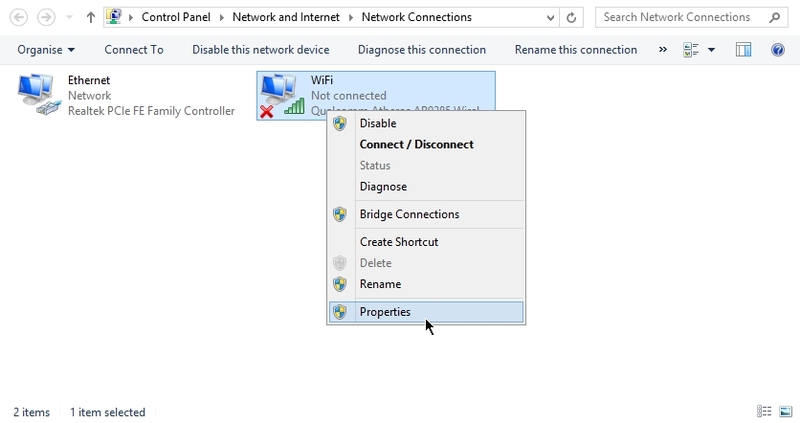 If hotspot is still not working then right click on the interface through which your computer is connected to internet. In “sharing” tab tick “allow other network users to connect through this computer’s internet connection“. Select the newly created virtual network adapter in “home networking connection“. In my case “local area connection 36“. 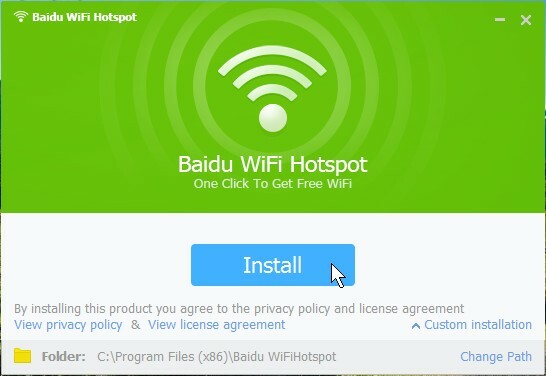 Now other users will be able to access internet through wifi hotspot.